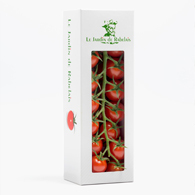 Unique by their taste and flavour, « La Rabelais » is our best selection. 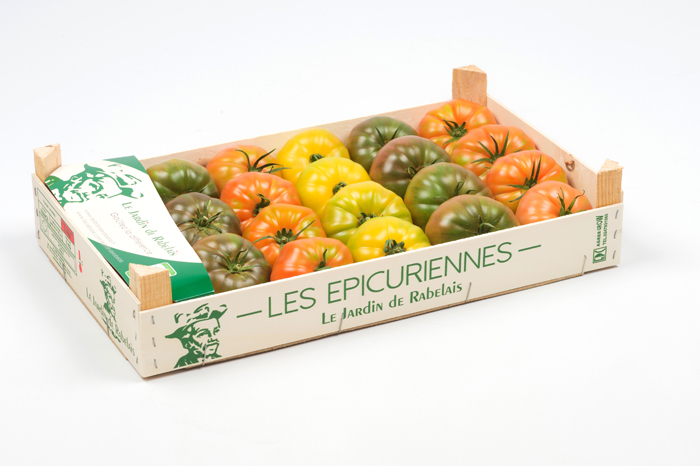 Cherry, vine or marmande type tomatoes, like « Les Epicuriennes », this selection always arouse the same reactions : the desire to taste it again ! 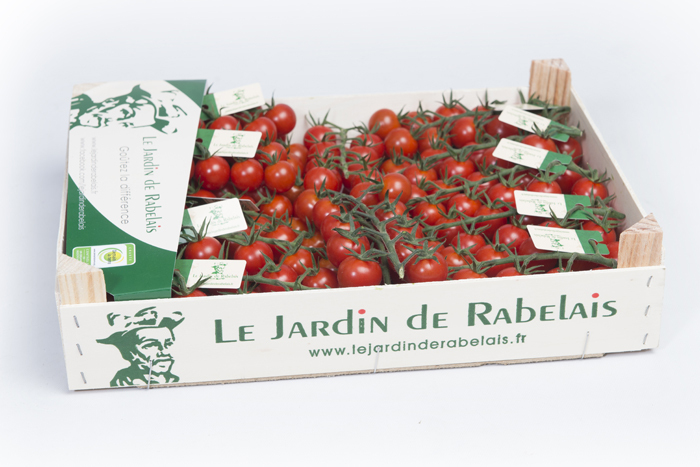 Handpicked ripe and packed the same day, the tomatoes « La Rabelais » are available at your nearest fruits and vegetables retailers the next day. 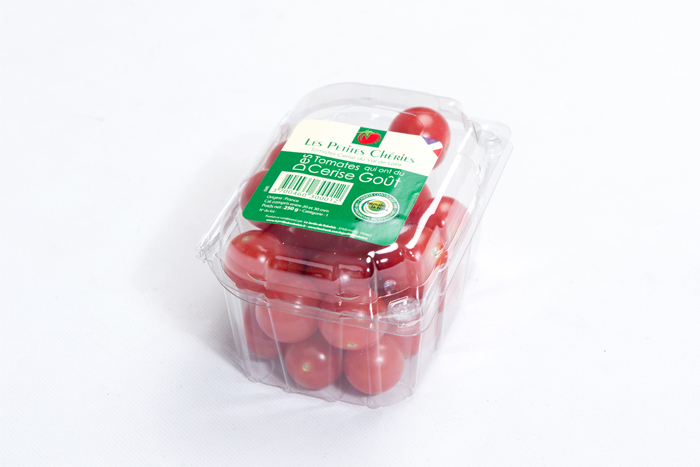 This guarantees optimal freshness and taste. 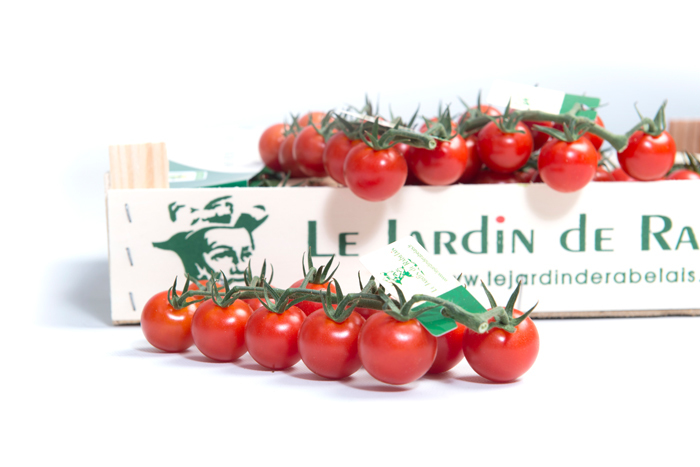 The cherry tomatoes « Le Jardin de Rabelais » are simply a delight. 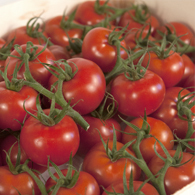 Crunchy and sweet, you can enjoy them as an appetizer or in a salad. 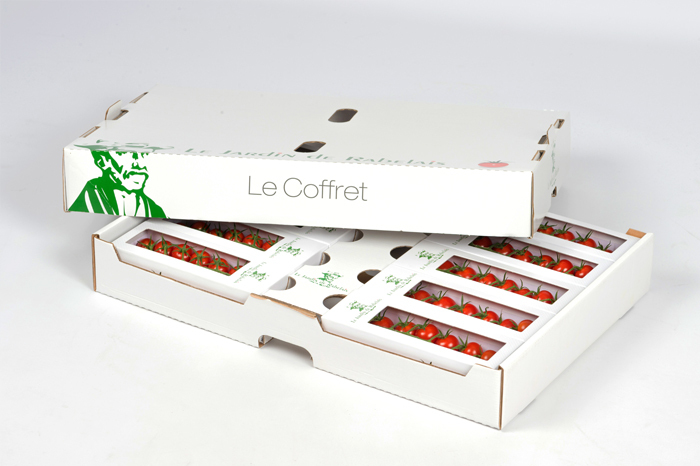 These little red fruits are packed in two different manner : in a 3kg wooden box and in a 300g gift box. 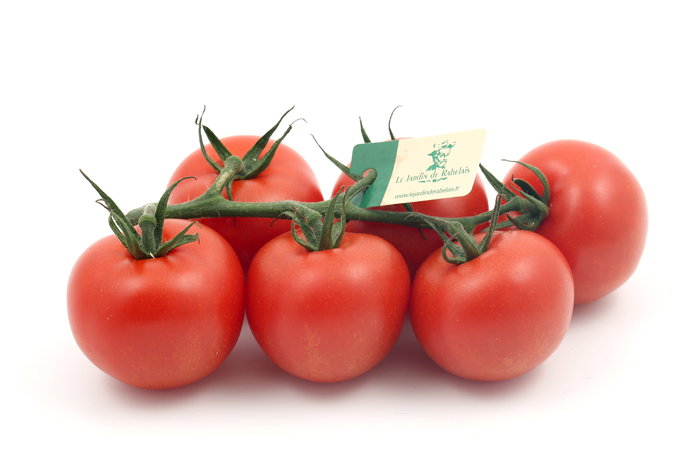 These average size vine tomatoes are just concentrated pleasure. 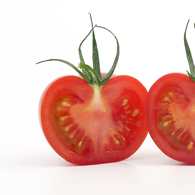 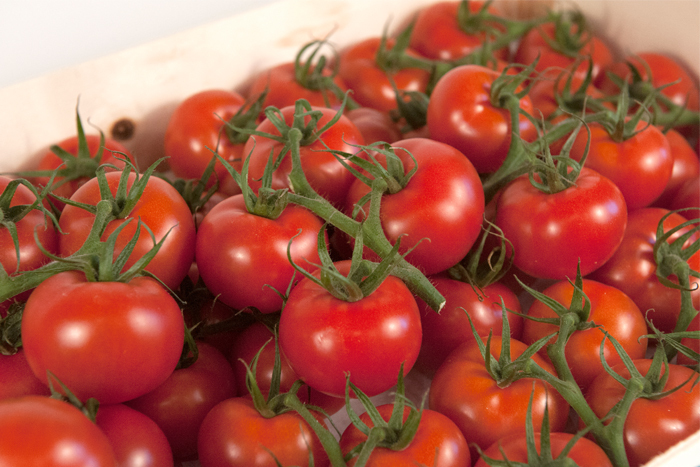 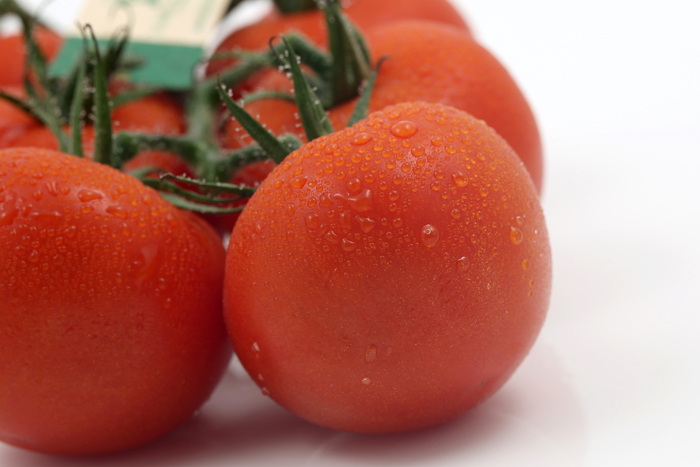 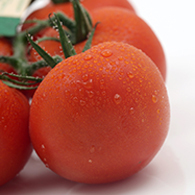 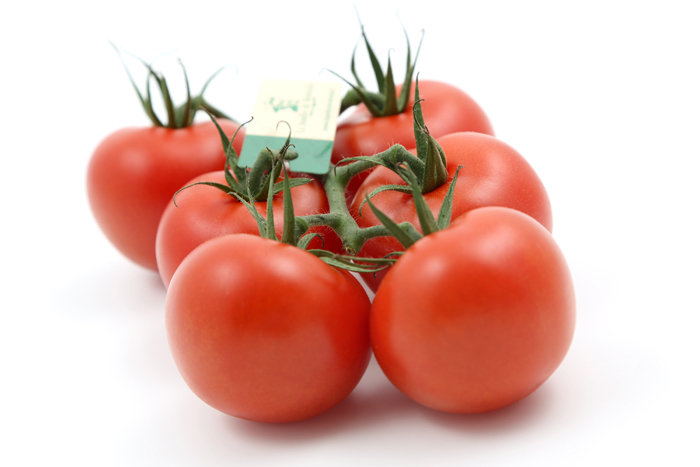 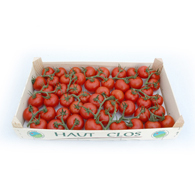 Firm and full of flavour, these tomatoes will brighten up your next meal. 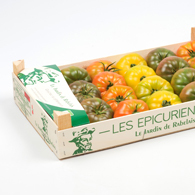 Fleshy and tender, « Les Epicuriennes » are the result of many years of research. 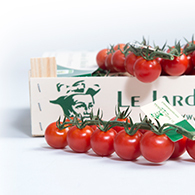 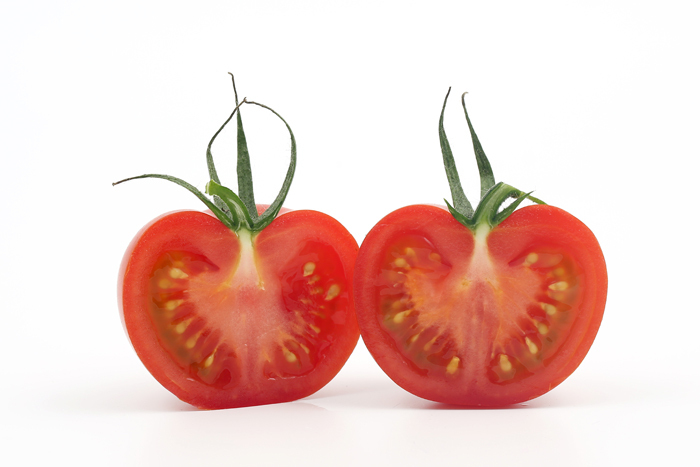 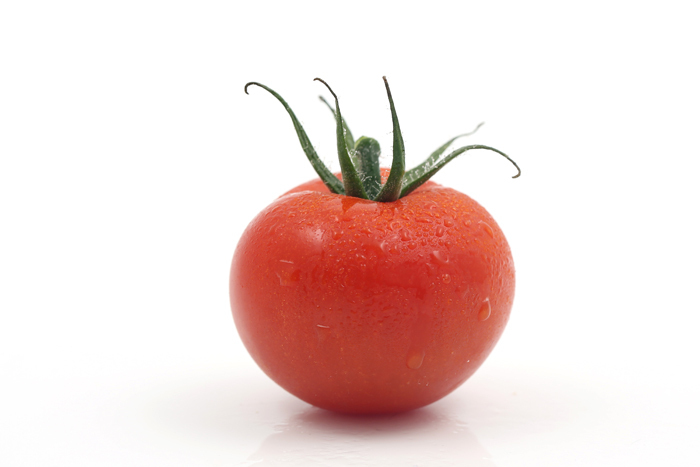 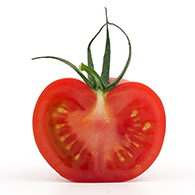 Indeed, we wanted to find an ancient tomato with a level of flavour comparable to our cherry and vine tomatoes. 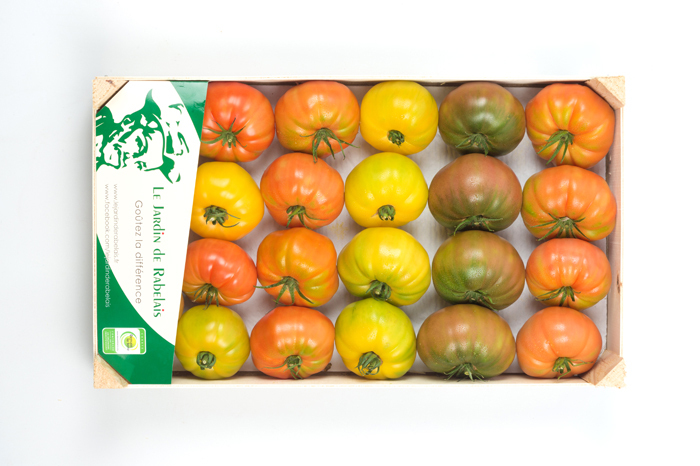 We found them and cultivate these red, yellow and black tomatoes since April 2015. 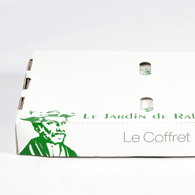 A unique box for a special attention. 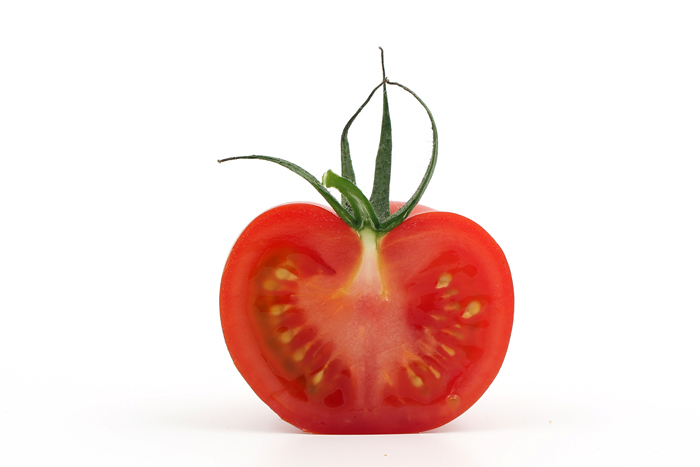 You are invited for dinner ? 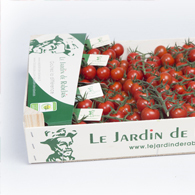 You would to surprise your spouse with a unique gift ? 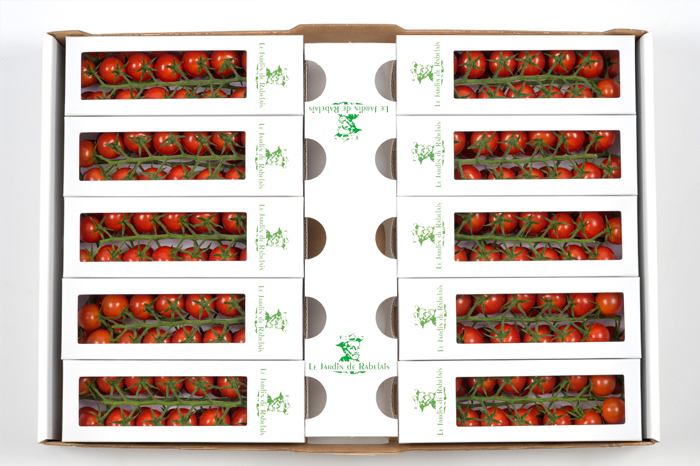 Our tomato gift box is the perfect idea ! 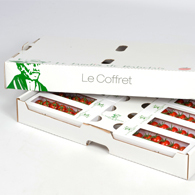 Inspired by the luxurious chocolate boxes, this box offers 300g of pure pleasure ! 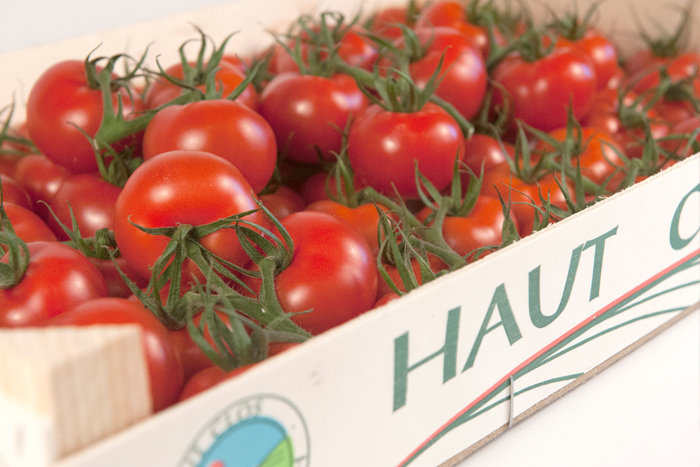 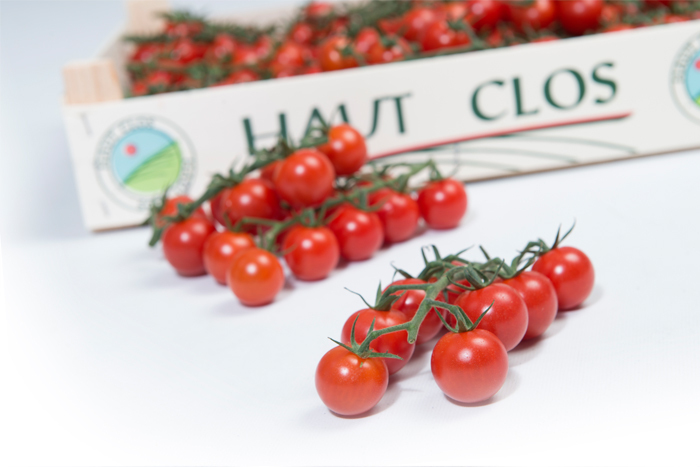 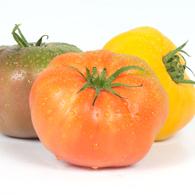 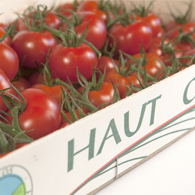 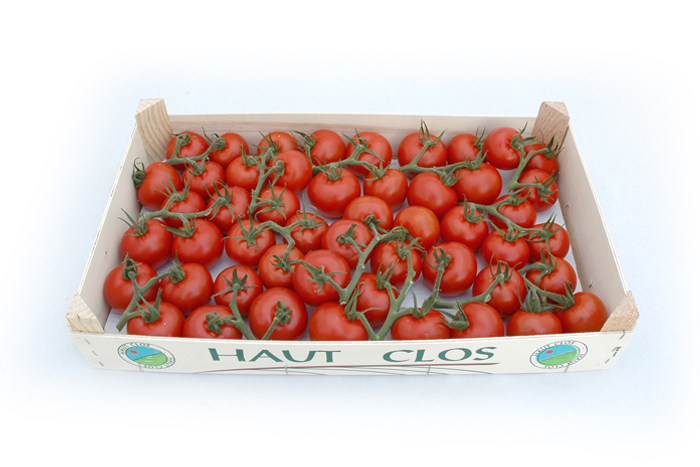 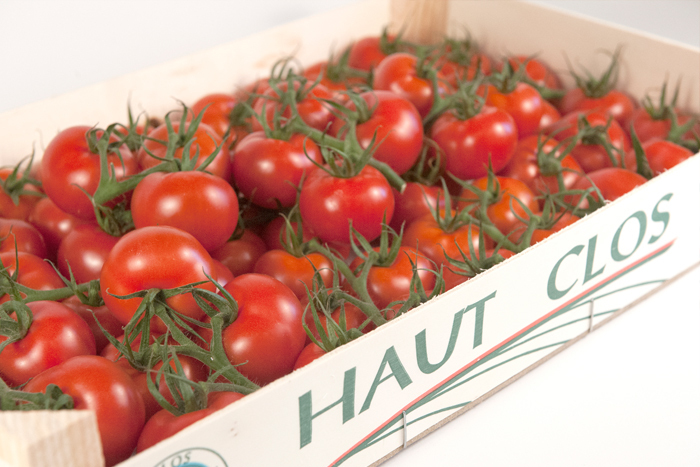 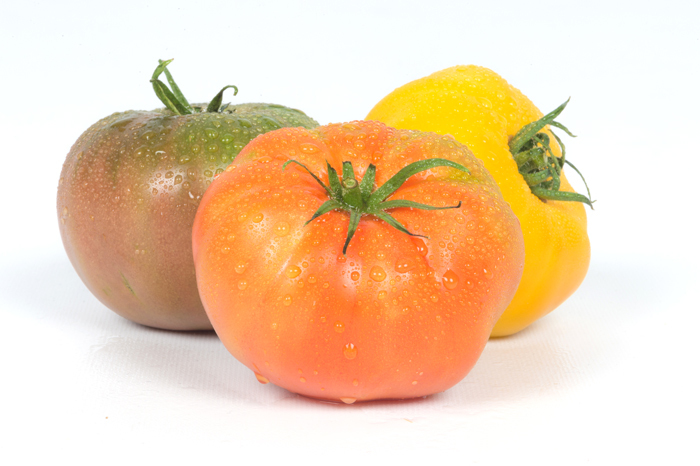 The tomatoes « Haut Clos » are our middle selection. 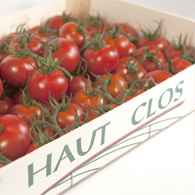 Less fruits on the vine but still an incredible taste ! 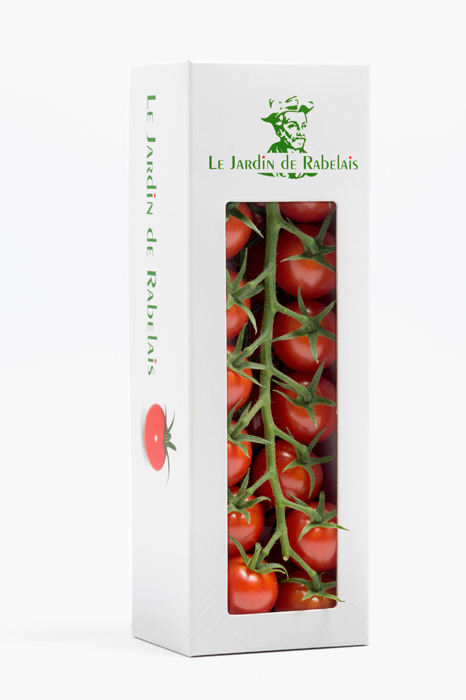 Handpicked ripe and packed the same day, the tomatoes « La Rabelais » are available at your nearest fruits and vegetables retailers the next day. 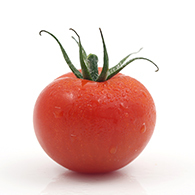 This guarantees optimal freshness and tastel. 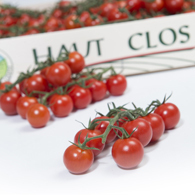 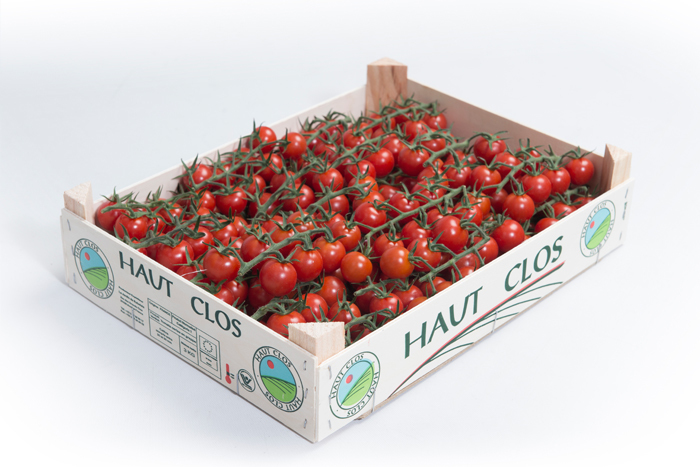 The cherry tomatoes « Haut Clos » are simply a delight. 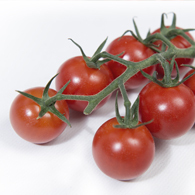 Crunchy and sweet, you can enjoy them as an appetizer or in a salad. 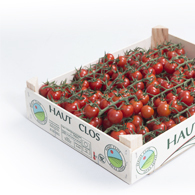 Packed in a 3kg wooden box, you will be able to choose one or more trusses at your fruits and vegetables retailer. 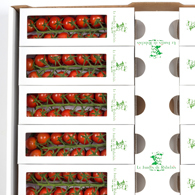 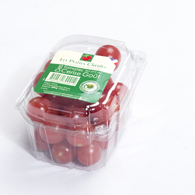 These tomatoes are also packed in punnets of 250gr. 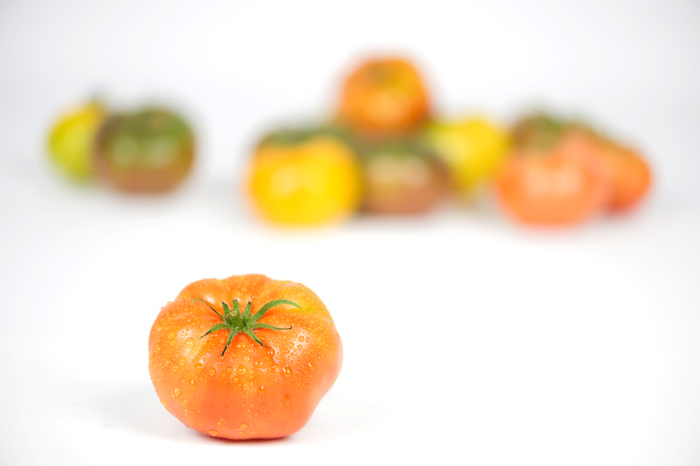 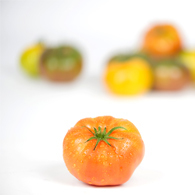 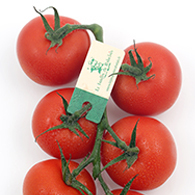 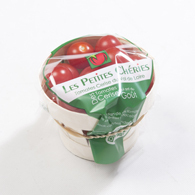 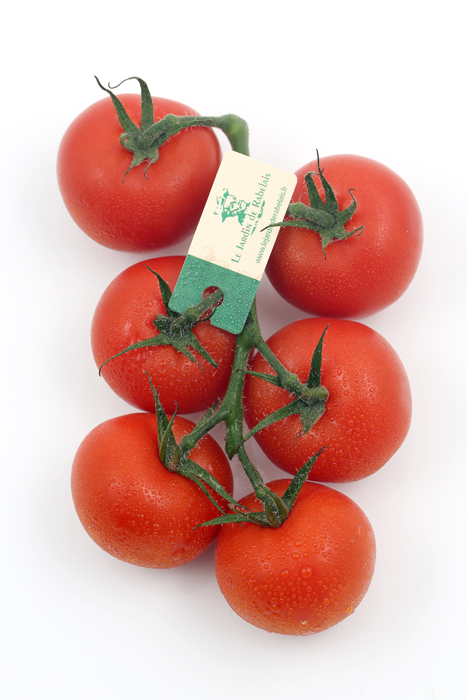 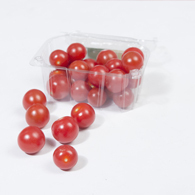 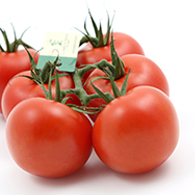 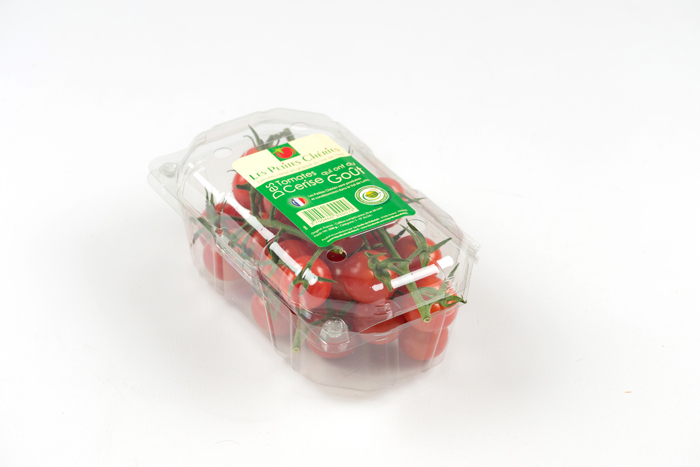 Our tomatoes « Les Petites Cheries » are made for kids and children alike ! 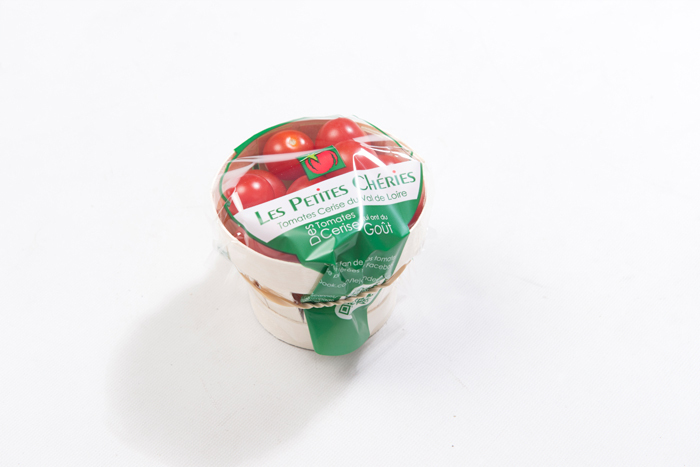 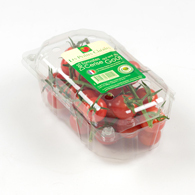 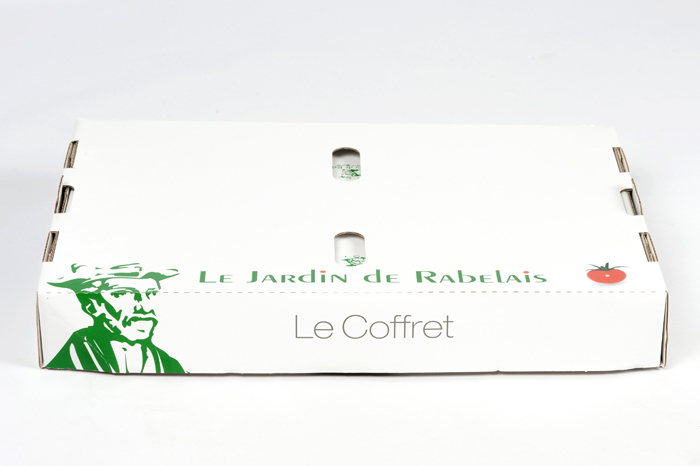 Wit their appropriate packaging, « Les Petites Cheries » are available in numerous point of sale in France and Europe. 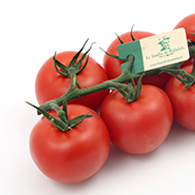 Our faithfull customers only swear by these tomatoes ! 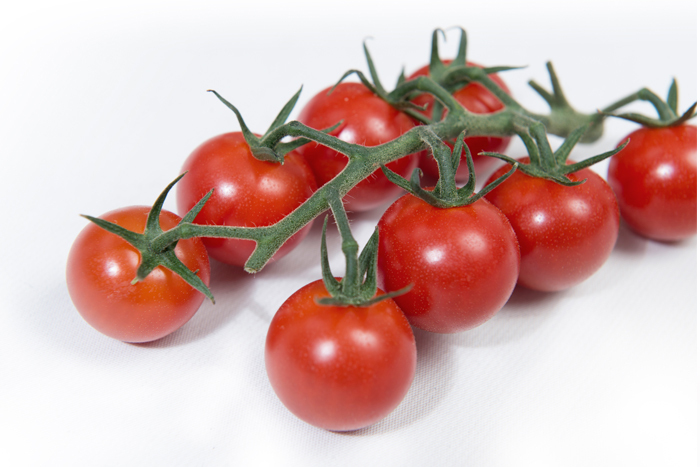 Cherry tomatoes on the vine, they are perfect as an appetizer or in a salad. 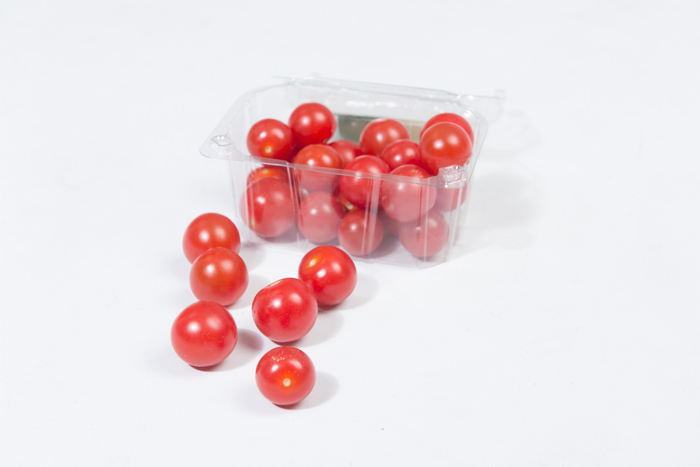 Take out the plastic protection, your appetizer is ready! 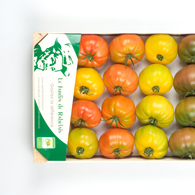 Tehy will become your kids favourite!